or do you hate it? Mostly over here I’m spinning my wheels and unpicking/remaking bee blocks, because I HATE this little piece of metal and plastic. OK. Perhaps one shouldn’t blog when one has a pile of 20 HSTs to pick apart, re-square, and reassemble. I’m trying to make these for Grace circle of do. Good Stitches (more on this later, I’m saving up for a bee post) and I’ll be honest, I looked at the block and thought, piece of cake. And then my first block was 12.75” x 12.25”. When it was supposed to be 12” square. We all know that big odd blocks are bad bee karma. So I will need to unpick and re-do. But here’s the thing: before I started, I checked my 1/4” seam by moving the needle and measuring my “normal” seam. (I like to sew very scant, which works fine when I am the one making all the blocks.) And the block still came out large! So. Sew bad blocks with my A foot? Or struggle mightily with the stupid quarter inch foot? 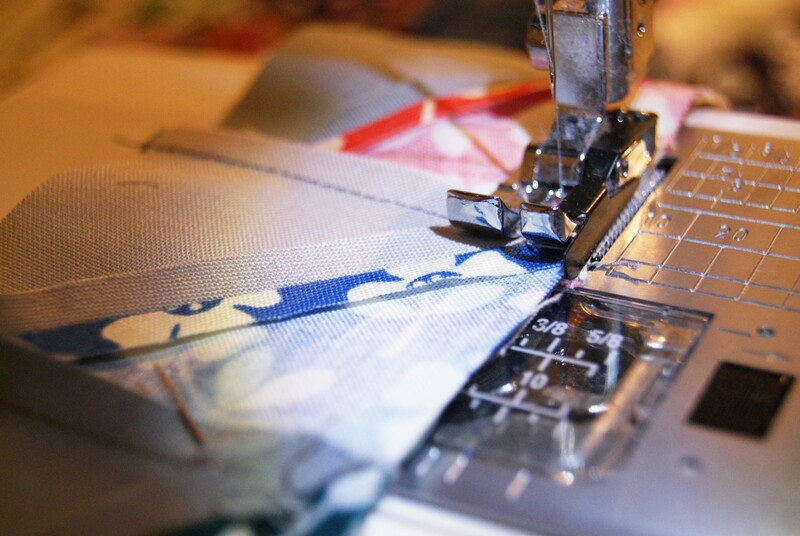 How do YOU achieve your perfect 1/4” seam?